Mostheme is powerful designed in a clean, seo friendly and mobile-friendly Blogger Template. This is available for free and premium Blogger theme. Template can be used for any type of website, business, corporate, portfolio, products, marketing, etc. Primary has been coded in HTML5 & CSS3 and little bit using jQuery. It contains a lot of HTML pages with flexible responsive layout and mobile responsive. 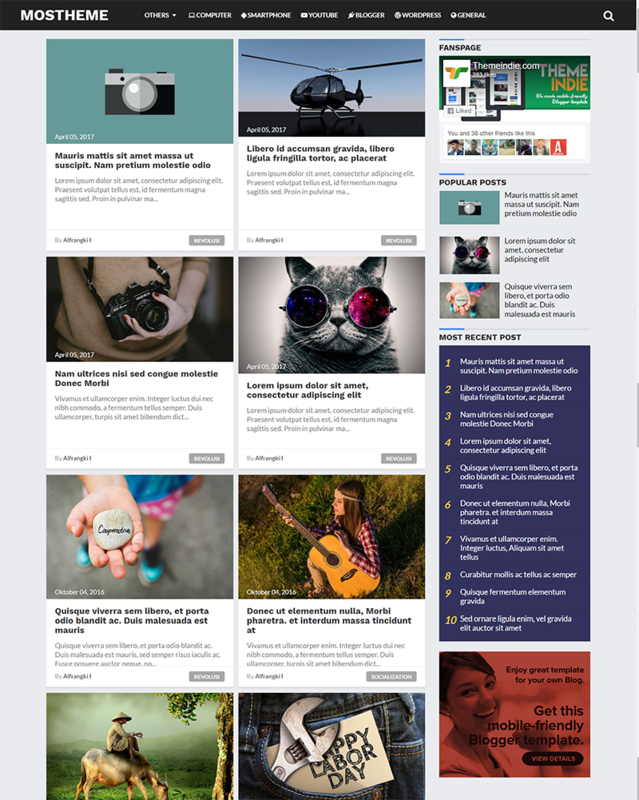 Tt very recommended to all of publisher, because this template really high CTR blogspot theme.